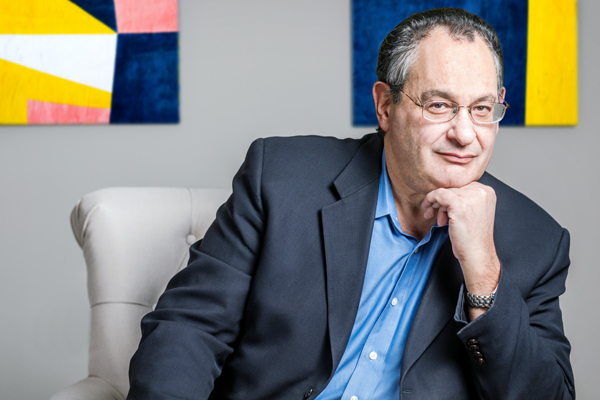 As a four-time entrepreneur, Neil Kleinberg is on the front line of what he describes as the secretive and artsy world of mergers and acquisitions (M&A). Yet his repeat success throughout his twenty-five-year career has also exposed him to the inherent pains of the full M&A transaction life cycle—the inspiration behind his latest award-winning venture, DiliVer. From a practical perspective, DiliVer replaces the buyer’s outdated M&A due diligence checklist with a two-tiered scorecard that uses Kleinberg’s proprietary algorithms and key performance indicators (KPIs) to measure the seller’s current enterprise performance, as well as its future growth potential. In an era when M&A innovations target software products rather than consulting services, DiliVer’s solutions are built from a FinTech M&A platform that comprises three main aspects: a business excellence framework, a process model, and a data model. DiliVer’s dexterity across industries reflects Kleinberg’s own career, which spans IT, financial services, national security, healthcare, judicial, public safety, and telecommunications. He warmly describes his evolution from “lead geek” as a technology engineer to management consultant to an executive to industry disruptor as the source of crucial insights he needed to apply the principles of performance measurement to vertical markets via enterprise software. His track record reveals his proof of concept. Prior to DiliVer, Kleinberg served as the director of corporate development at a market leading enterprise software company after orchestrating the strategic acquisition of his own CRM solutions company, VerticalFalls Software, by Sage in 2007. Previously, he also founded two additional high-growth tech companies: EIC, a management consulting firm, as well as NTC, a specialized high radio frequency electronics firm. Kleinberg earned a bachelor’s degree in bioengineering and a master’s degree in computer science at Johns Hopkins University. Outside of DiliVer, he is an adjunct professor at Johns Hopkins Carey Business School, where he teaches M&A, entrepreneurial finance, and corporate governance. He’s also an advisory board member and mentor for many of Hopkins’ organizations, which pairs the CEO’s penchant for next-gen FinTech with his passion for preparing future entrepreneurs. In the Washington, DC, area—near DiliVer’s headquarters in Annapolis, Maryland—Kleinberg mentors at the local chapter of the global accelerator and launch program, the Founder Institute, and is an ambassador at The Center for Advancing Innovation. He is also a member of an exclusive forum of tech space CEOs, the MindShare Alumni Network, since 2015. That continuous exposure to diverse, groundbreaking ideas fuels Kleinberg as he builds his elite FinTech M&A company. From an overarching corporate perspective, in addition to core productivity and efficiency, creativity and effectiveness is a central component to DiliVer’s brand mission of delivering M&A due diligence solutions to its varied customer base, which includes strategic acquirers, financial acquirers, and all growth stages of sellers. It inspired DiliVer’s cultural mantra, “Science for the Art of M&A,” which Kleinberg cites as one of the company’s key differentiators as it pursues FinTech M&A integrated solutions. The DiliVer team is gradually enlightening M&A advisory firms and ecosystem software vendors about the new ways to incorporate its purpose-built FinTech M&A tools into their best financial, legal, and operational M&A due diligence practices. DiliVer also uses its own scorecard software to measure how it is achieving its goals and meeting its objectives. Kleinberg’s own credibility is evident. His expertise in business optimization, performance measurement, and data analytics is paving the way for new verticals and geographies in DiliVer’s lineup. Looking ahead, he anticipates DiliVer will reach about fifty employees serving more than six hundred customers and generating more than $20 million in revenue within the next few years. As the early stage company expands, DiliVer will continue to cure some of the most significant pain points in the M&A community as the new gold standard of due diligence.